Come and experience a one of a kind bazaar this November! 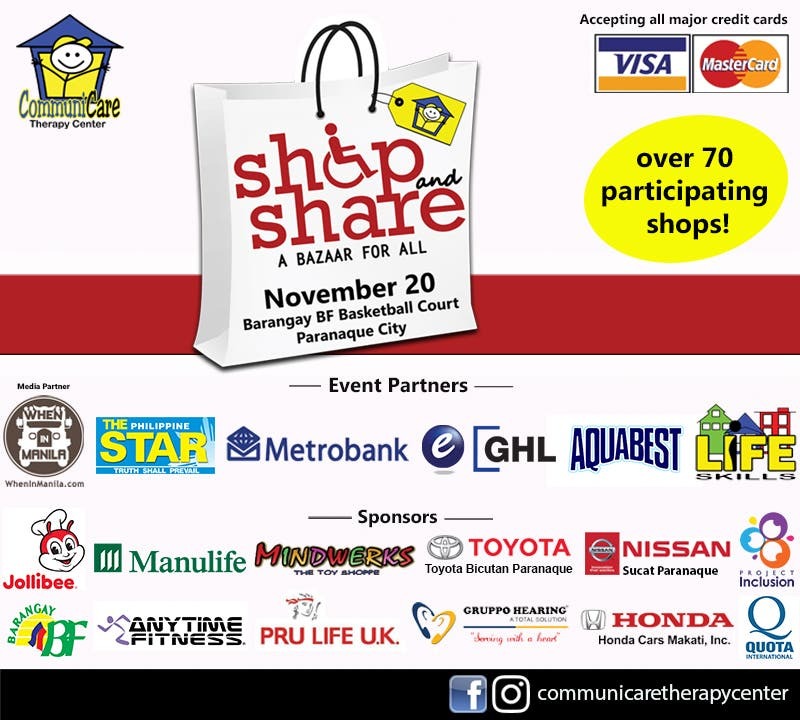 Communicare Therapy Center, together with the PersonsWith Disability (PWD) community, brings you Shop and Share: A Bazaar for All. Join us on November 20 at the BF Homes Clubhouse Basketball Court, Paranaque City, and witness our special staff work as greeters, shopping assistants, vendors and performers. Shop and Share has over 70 participating shops offering books, toys, educational materials, clothes, shoes, bags, perfumes, accessories, health and beauty products, craft items, collectibles, household items, specialty stuff, lots of good food, and products made by our specially-abled friends. Prepare your Christmas shopping list now and see you on November 20! 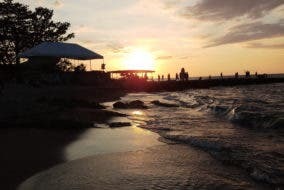 Shop and promote the inclusion of PWD into the community.